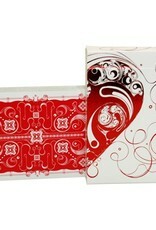 LOVE ART deck printed in USPCC. Aristocrat casino stock. Great Foil printed on Tuck case. Love's the gift which God has given to man alone beneath the heaven. PLEASE ENJOY YOUR LOVE? 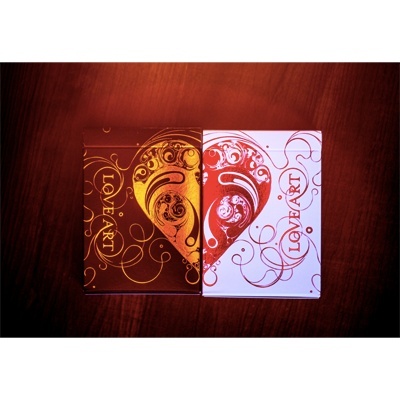 The deck is in the excellent visual and pure feel. It is the best choice for collection and fun. 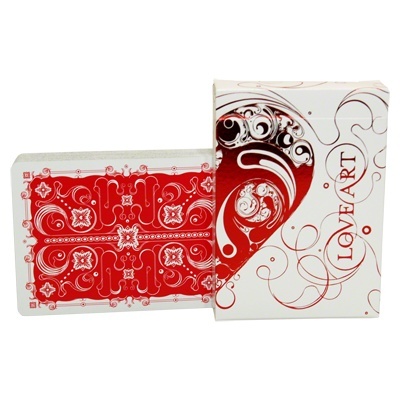 SI SCOTT, a famous designer in London, spent three more months to design this deck around 'love'. The deck looks gorgeous, clean, and comfortable. Also, it has a sensible design style by SI SCOTT. The JQK are similar as 'Smoke and Mirrors', but there is the new color scheme by SI SCOTT. There are also some bonus in the black deck, a signature by SI SCOTT. 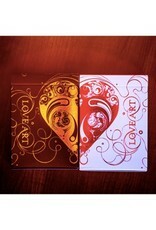 Complete the other half of the 'Heart' with the Gold Love Art deck, sold separately.